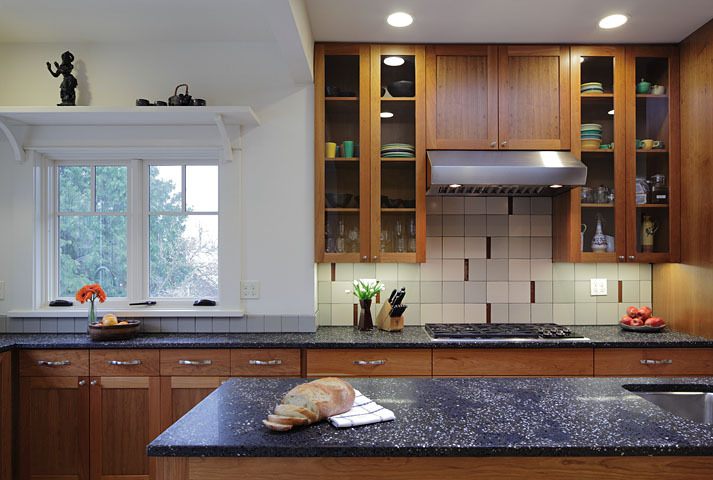 Complete remodel and expansion of existing kitchen in a Craftsman house. A new archway to the dining room allows an uninterrupted view from the living room through the dining room and the kitchen to the roof deck . 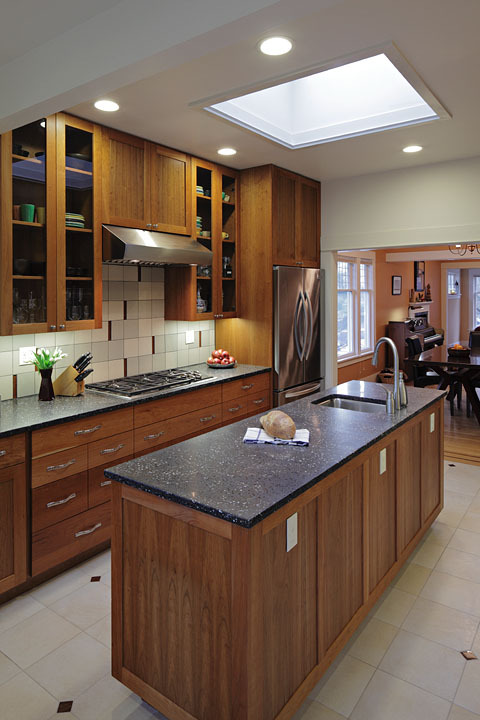 An existing skylight along with new south facing windows flood the remodeled kitchen with natural light.